Already having a huge pool of characters to select from, popular lane-fighting MOBA League of Legends brings a new fighter into the fray. With a vast pool of champions, every player can select a fighter that truly fits their playstyle, each being unique in its ability and advantages. Gnar’s description thus far has shown it may be a new favorite. Gnar’s passive, Rage Gene, will allow him to transform into Mega Gnar when he builds up his Rage Bar, something that will get filled up as Gnar continues fighting. Mega Gnar has increased Attack Power, Armor and Magic Resist, but as a result has decreases in its Movement Speed, Attack Range and Attack Speed. Gnar and Mega Gnar both also have unique abilities, separated by the form it takes. For example, Gnar’s Q throws a boomerang while Mega Gnar’s Q throws a boulder. Gnar’s W, hyper, increases Movement Speed and Attack Speed while Mega Gnar’s W, Wallop, stuns any enemies in front of him. Lastly, Gnar’s E hops it in a target direction while Mega Gnar’s E charges in the direction in front of him. The only exception to this would be Gnar’s R, which can only be activated in its Mega form, an ultimate attack which will throw all enemies around Gnar, dealing damage and slowing them with a potential to deal more damage or stun if the targets are thrown at a turret or wall. 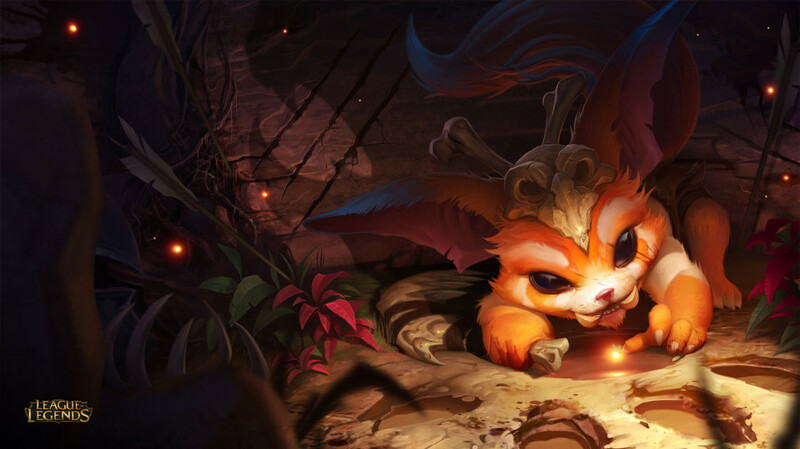 Gnar’s role in the top lane is going to be interesting to see since its Mega form is without a doubt a perfect competitor against most of the popular choices, but having to monitor the amount of time you have to burst will be a difficult challenge for any Gnar users. It’s also worth mentioning that an early game will most likely heavily rely on regular Gnar’s distance attacks and hops to jump in and out of battle. However, I can also see Gnar pairing incredibly well in team fights, with its R attack being one of the counters to flanks the game has presented so far. I see Gnar becoming an incredible momentum disrupter in team fights, and can prove itself to be a powerful tank as well. Insofar as playability is concerned, Gnar certainly has potential. Until we get more info on its exact stat distribution and attack power of all his moves no calcs can be done. But Gnar certainly made a huge impression on the community. It’s unique transformation ability, only rivaled by Nidalee and Jayce, presents a new factor to the game that is both balanced and versatile. For more information about Gnar, keep checking CPGaming.gg and visit http://www.newsoflegends.com/index.php/gnar-revealed-abilities-backstory-looks-design-and-more-23119/ for more in depth information.